It is important to choose a qualified shiatsu practitioner who has undertaken all the necessary training to understand the theory and practice of shiatsu. 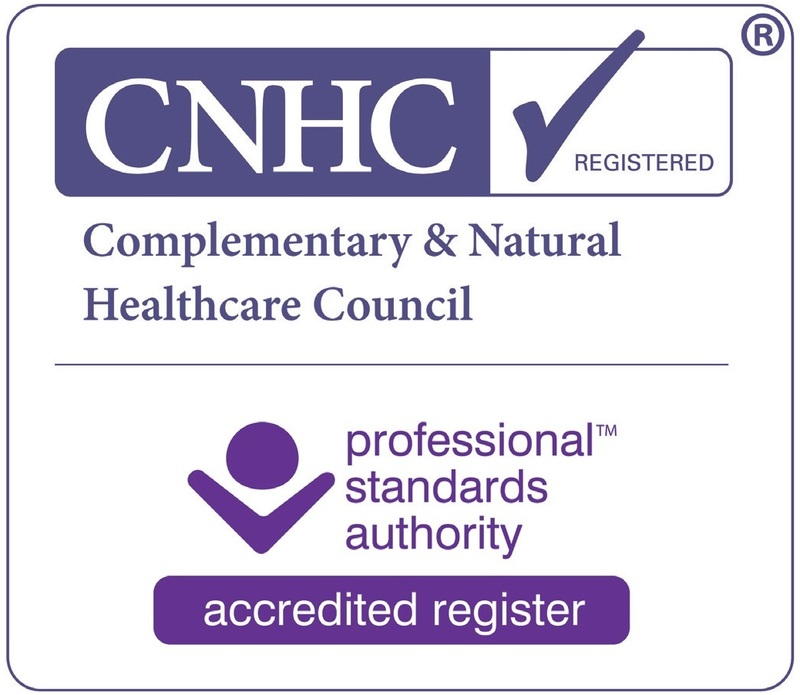 You can check whether a shiatsu practitioner is registered with the Complementary & Natural Healthcare Council (CNHC) by searching the register at http://www.cnhc.org.uk. By choosing shiatsu practitioners registered with the CNHC you can be confident that they are properly trained, qualified and insured. Dr Carelse is regiestered with the CNHC. What happens in a Shaitsu Therapy session? A Shiatsu session usually starts with about 15 minutes of ‘questioning’ and ‘looking’ diagnosis, during which the receiver may be asked to participate in breathing, stretching and other exercises. Following this is the ‘touching’ diagnosis, the hands-on treatment, over the clothing. This usually lasts about 45 minutes and takes place with the receiver lying on the floor or a low massage couch. After the treatment, it is recommended that the receiver relax and allow time for the body to rest and realign itself. Following the treatment, some recommendations (related to lifestyle) may be made, including yoga postures or mindfulness meditation practices. What is the theory behind Shiatsu? This diagram shows the energy pathways used during Shiatsu treatments. The therapist is trained to create and sustain an intuitive and physical connection with the receiver. Using changes in pressure and movement in particular areas, the therapist releases touches or pressed along certain ‘lines’ or ‘channels’, that are known as “meridians” in Shiatsu. 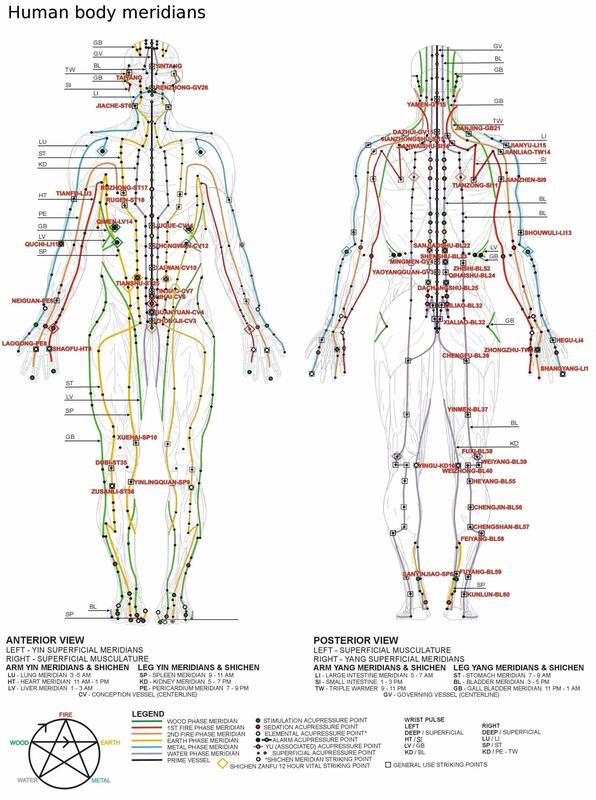 There are 14 different meridians running throughout the body, along the head, neck, torso, arms and legs. By adjusting the texture and composition of the meridians, through touch, the overall flow of energy or awareness through the body can be enhanced.